Superdry men's zip hoodie from the Orange Label range. This hoodie is the ultimate layering piece, featuring the iconic Superdry logo embroidered on the chest, a drawstring adjustable hood and ribbed trims. 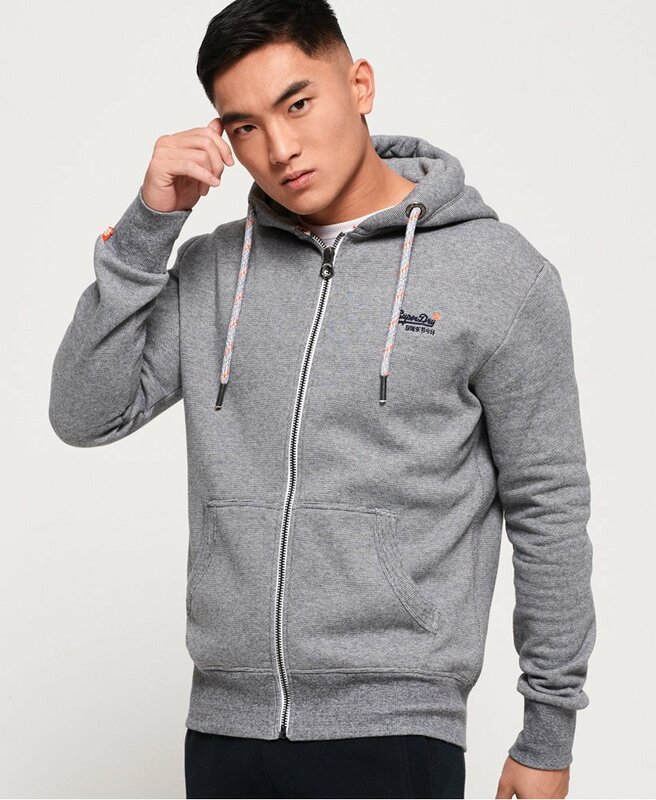 The Orange Label zip hoodie also features two front pockets, a subtle stripe design throughout and is finished with a Superdry logo tab on the cuff. Layer this hoodie over your favourite t-shirt and add jeans and trainers for a classic laid-back look.